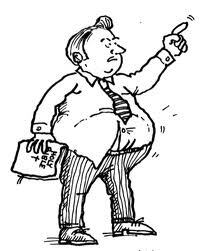 A Link Between Church and Obesity? Today I read a really interesting article on CNN entitled, “Frequent Church-Goers Frequently Fatter.” A great headline, by the way. 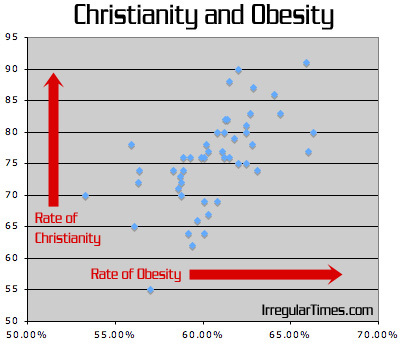 But the gist of the article is that a study has shown that people who attend church regularly are significantly more likely to have a higher body mass index than those who attend infrequently or not at all. A Chicago pastor pointed to a “church culture around eating” and the frequency of church potlucks. There is indeed a church culture around eating. For people who may not have a lot in common, food is something that people can connect over. After all, everybody eats. But it seems to me like a once-a-week potluck isn’t forcing anyone to poke an extra notch in their belt. It’s the daily choices, the pattern, the lifestyle. And so I am a bit baffled by the way that the modern church has gone after other vices like smoking, drinking, etc. but has turned a blind eye towards overeating. Many more people die from the diseases of affluence (heart disease, etc.) than from lung and liver cancer. This is why I think that Christians need to figure out what it means to eat with intentionality. This is why we need sermons on gluttony. This is why we need to learn what it really means to feast (if every meal is a feast, there’s a problem) and to fast. And this is why pastors (like myself) need to do some serious thought about how to address the deeper spiritual issues that lie underneath our gluttony. Because ultimately being healthy is not about feeling good or looking good, although those are nice side effects. We pursue physical health because God is honored when we take care of our bodies. And when we take care of our bodies, we have a greater capacity to serve, more energy to love, more to offer the world. This entry was posted in Rants and tagged Christianity, Culture, Food, obesity by Justin. Bookmark the permalink. I have been thinking about this data, too. I think there are most probably a bunch of reasons that Jesus gets the eaters, but one I was thinking of was the air of entitlement that easily gets included into our theology. ‘If God came down and died for us, why shouldn’t I get the bigger portion of fried potatoes?’ Of course, this is a cynical view and is profitable for very little, but it’s a consideration nonetheless. Also, I wonder if there is a link between the amount of leisure time and expendable income that is found in regular church goers? Finally, I remember in a class here at school we learned that poverty in America is linked to obesity as well. Poor people can most easily afford crappy food. That info. was suppled by a Moody grad, Ray Bakke. Is this connected? I can just picture the hordes of 21st century Americans standing before the throne of Christ, breathing heavy from the long walk. Haha. Anyway, as always, good blog.